When you think of prison, you think of the solitary confinement. You think of the three meals a day. You think of the laundry service. What you do not think of what a money pit it can be. You do not think of how much money they will need to survive on the inside. You do not realize they will need money for necessities that you would think comes with them being in prison. We are going to dissect everything from the commissary to how you can put money on an inmate’s books. The commissary is the store in prison. Just like you and I have stores on the outside, they have one store on the inside known as the commissary. To us on the outside, this does not sound like much, but if you are on the inside, this is everything to them. The commissary store is usually only open once a week. This is the best day out of the week, because you can finally stock up on everything they need for the coming week. Of course, there are limits to what the inmates can purchase at once. Wait, I thought Prison Provides Everything? This is a common misconception. People think prison provides everything for their inmates. This is false. When a prisoner gets sent to prison, they do get a few uniforms and a bag with their hygiene products to get them started. That is it. If their uniforms start falling apart, they need to buy new ones and trade the old ones into the laundry service. Their hygiene products are not the best and they only last so long. Prisoners are at the mercy of their family on the outside to help them live a more relaxed lifestyle while they are on the inside. There are times that inmates cannot even write home because they do not have paper or stamps to send the letter off. People on the outside cannot gift that. It is on the do not accept list. If you try and send envelopes, writing paper, and stamps they will be discarded immediately by the prison staff. Do not bother trying to get anything past the guards. You will just be wasting money that could be better used for something else. First off, inmates can get prison jobs to help fund their accounts. Granted it is not a service that you can help with, but it is a vital option. However, there are a few different ways you can send money to an inmate in jail. We are going to thoroughly go through each option, so you can find what is the best option for you. If you happened to do a search for how to send money to someone in jail, this may have popped up as the first result. JPay is widely known in the prison community. To be honest, it is sometimes compared to PayPal as their Prison PayPal because it is that commonly used. JPay is super easy to use for all parties. For you to send money, you can use your credit or debit card to complete the transfer. This will be stored in the inmates account until they acknowledge the transfer of funds. The only thing that is kind of bad about JPay is their fees. Their fees tend to be high than the other services that we will talk about today. However, if you do not mind the high fees, but love the easy process, JPay is the best option for you. Access Corrections is extremely similar to the last service we talked about, JPay. It is dedicated to the economic side of prison. What is neat about Access Corrections is that it does not just benefit those individuals behind bars, but also it is useful to those on probation or parole. This service allows them to make their monthly payments using Access Corrections. Both the receiver and the sender can send one another emails through Access Corrections too. However, this will depend on the regulations of prisoner. There is a lengthy frequently asked questions available on the Access Corrections’ website. This will allow you to get a little bit better understand of what this service can and cannot do. Not to mention, what you can expect when you send money to your family or friends who are currently in prison. These frequently asked questions also cover the state-specific rules too, which is a really good thing to know. One thing that Access Corrections do not put out there on their website is their fees. We highly recommend giving Access Corrections a call to get their fee structure and ask them any questions you may have about their fees. Now we are getting into familiar territory. We have all heard of Western Union. Some of us may have already used Western Union once or twice. You know when your sister who happens to live states away needs a few bucks and wants to Western Union the money. What you did not know is that you can utilize Western Union to send money to your family and friends in jail. Just like if you were to send money to one of your relatives, you can utilize Western Union the same way. You can go to a Western Union store, do it online, and complete the transaction over the phone. The entire process is the same too. The only difference is you will need to know one extra piece of information; their institute-specific information. To obtain this information, it is best to contact the prison where they are residing. They have this information readily available. Just let them know that you are trying to Western Union the inmate money. They should supply the info, so you can complete the transaction. Keep in mind that not every prison accepts Western Union payments. Before going to Western Union, you will want to give the prison a call to see if your prison will accept Western Union payments. Another negative when it comes to Western Union is their fees, but if you used this service before you already knew that. So, you know that the more you spend, the less the fee seems to be in accordance with the money you are sending. This is not always the most cost-effective way to send money, especially if you can only afford to send a little at a time. If you can only send a little at a time, it is wise to investigate the other services offered, we have talked about to see if there is one with better fees. Moneygram is another familiar service just like Western Union. People use Moneygram to send money to relatives that are not local. What people do not know that Moneygram can even be used to send money to inmates too. Who would have thought? If you choose to go through with Moneygram, you can send money either by phone or going in person. When sending money, you will need to use a credit card, if done by phone. However, if you are doing it in person, you can use cash, or you can use a credit card. In addition to being able to have their commissary and calling card accounts funded, inmates can also send money out to loved ones through MoneyGram if need be. Yes! You read that right. Inmates can send money using Moneygram. It is a neat little feature that not many people tend to know off the top of their head. The only downfall with Moneygram is they do not service every prison. You will need to call up the prison you are trying to send money to and ask them if they accept Moneygram. However, they do service much more prisons than Western Union does. Not to mention, their fees are much more cost effective unlike Western Union too. 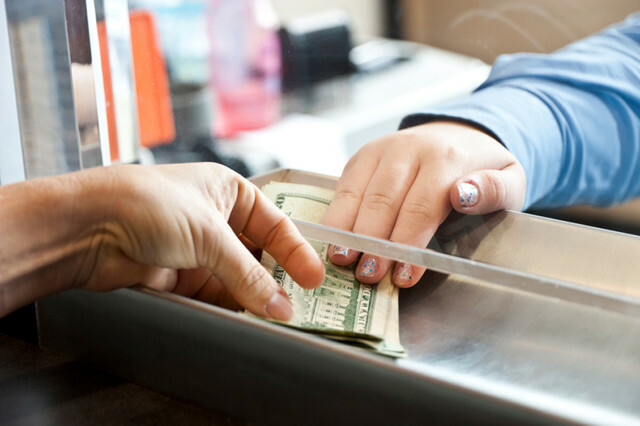 If you choose to send money to an inmate in person, you will end up having to visit a department store or a grocery store to do so. This can be an added inconvenience if you do not shop at that store, but if you do, it is not that bad. But negative thing about visiting in person is the person handling your transaction is usually an employee at the store and not a Moneygram employee. So, if you have any questions, they may not be able to answer or give you the wrong answer. Be wary about that. How Will They Know They Have Money? There are a few different ways for them to know you sent money. They can obtain copies of their statements directly from the prisons accounting department. They can also check with the officer at their prison too. A common way for them to know that you sent them money is when they get their mail, they typically get a receipt that they received money. If you talk to them on the regular, it is always a good thing to tell them that you sent money, so they can verify that they did receive it. Why is The Money Being Spent So Fast? We briefly touched on this topic a little bit earlier in this post about how prisons do not really supply many things to their prisoners. However, you are probably wondering how much money is enough for them to live on. This can vary. If you are worried that you are sending too much or being asked to send more money after you just sent some, you will can always call up the prison to ask them for a list of what the things in the commissary costs. This does not mean you do not trust them either. Do not feel that way, because you probably have already read how some inmates get into illegal activities and money is the culprit. You will also have to remember that the money you send is not just for the necessities in the commissary, but it also fills the telephone account too. So, if they call home often, that eats up money, and we will be the first to tell you telephone service is not cheap. It can be an endless money pit. You will also have to account for the times get stolen too and needs to be replaced. This does not always happen, but it can happen. What you also must consider is the money you send them is not just for shampoo, conditioner, and other toiletries. It is going towards food, entertainment, and clothing. You will have to account for all of that. Prison is and never will be cheap. It is expensive. The best thing you can do is talk to your family or friend and come up with a budget that you both can work with. This way you will not have to send money after money, but they will also be taken care of. One thing we tend to see when people are being told they need more money is can you send money to so-so account. This is a huge red flag. This is not what you should do. This could mean trouble. There are things going in on the inside that you do not know. They will try and say that the court will take all the money that you deposit for their fees. This is not true. The court may take a small percentage, but never the entire amount deposited. Just keep in mind, sending money into someone else's account usually flags some sort of illegal activity happening behind the bars. It tends to be your loved one getting wrapped into something that he or she should not be doing.